Here's another blush I snagged for $9.99 at Marshalls! Yet another winner from theBalm. 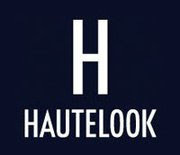 Seriously, I am so obsessed with their products!! theBalm calls it a "dusty rose sheen"
This color is just gorgeous. It's a rose pink blush with a hint of raspberry and plum. It's definitely not your typical pink blush. As with the other blush I got, Frat Boy (which you can see HERE) it's incredibly pigmented. It has a very subtle, pearl sheen to it (no sparkles). Because it's so strongly pigmented, i'd definitely recommend applying with a light hand or a skunk/stippling blush. Blended out it gives a beautiful pink glow to the cheeks, but be careful not to overapply (or you'll get clown cheeks!). Just like frat boy, the texture is very smooth and blends very easily so you can apply it exactly where you want. Packaging is cute and functional. you can see a little more plum in cabana boy here. 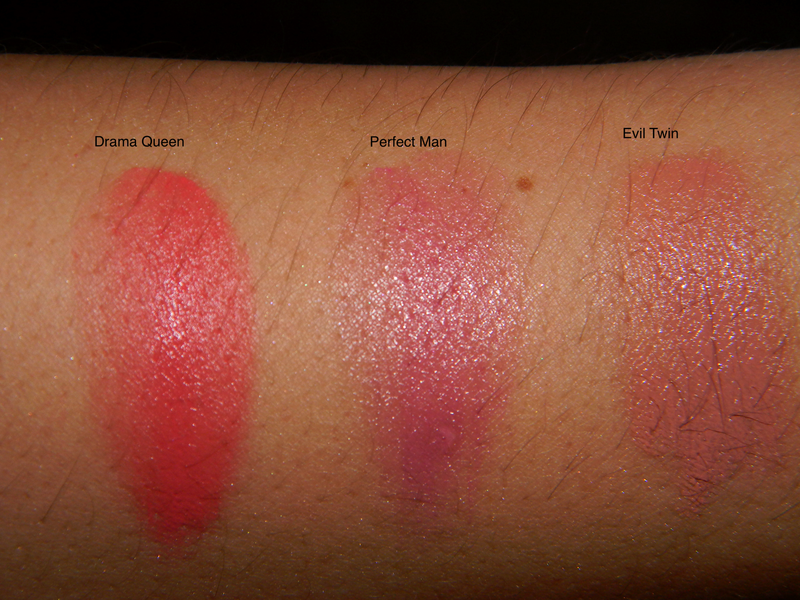 Nars Oasis on the left is not really similar at all except for the fact that it's base is in the raspberry family. It has gold sparkles and is a bit more plummy and darker. 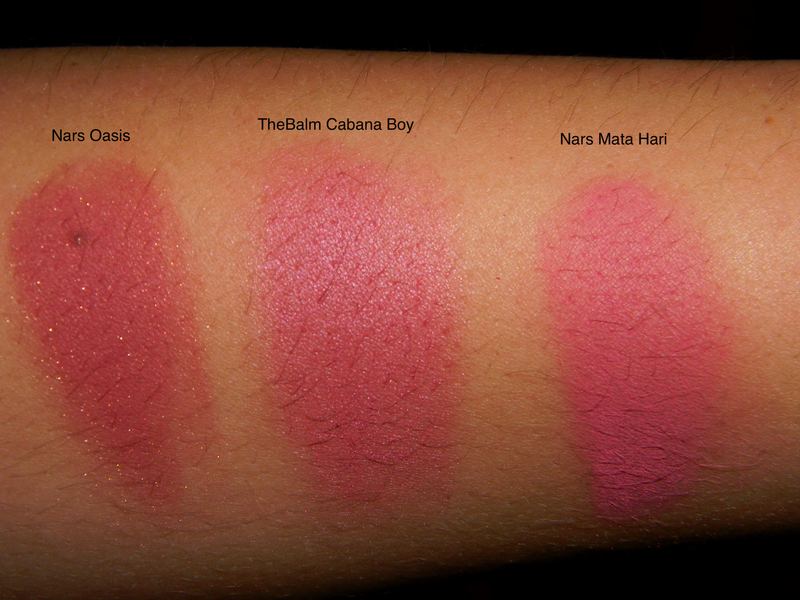 It is definitely one of my favorite blushes, but it's really not that similar to Cabana boy at all. Cabana boy is also more pink and brighter on the cheeks Dupe averted! Yet another fantastic product from theBalm. I really can't emphasize enough just how great the quality is! What do you think of theBalm products and Cabana boy?! Been lovingggggg olivey green eyeshadow looks lately! And to think i used to be afraid of green eyeshadow! Here's the look! Do you have any favorite olive green eyeshadows? I bought this eyeshadow duo (will do a post with swatches soon!) at the beginning of the summer since I'v been kind of obsessed with golds and corals and oranges. Of course, who isn't in the summer, right? This is actually the first time I've used it... I've been a bit intimidated to use such bright eyeshadow! It's actually a pretty wearable duo when you combine it with a dark brown outer-v and smudged liner! How would you wear orange eyeshadow? Would you tone it down or go all out bright? Next time I'm feeling adventurous I might try it with some pink or purple eyeshadow! I was at Marshalls last week with my mom and i completely hit the jackpot! My store (and some other TJMaxx and Marshalls locations too!) was filled with tons of skincare and makeup items from theBalm! Even better was that they weren't tampered with! I picked up a bunch of things but thought I'd devote the first post to Frat Boy Blush! theBalm describes it as a "peachy-apricot." on my skin i'd say it's a bit more on the peachy-pinky-coral side than apricot (i'd say colors like illamasqua lover or Nars Luster are in the apricot color vicinity!) It's a matte blush so there's no shimmer or sparkle, but it is VERY pigmented and smooth! It leaves a nice punch of color to the cheeks but not in an overwhelming way. The color is very flattering. I don't think it's too warm or cool so I can see it working on a lot of different skin tones. Even more impressive was how long it lasted--all day! As you can see, Rock & Republic bedroom is darker and has a bit more orange to it. 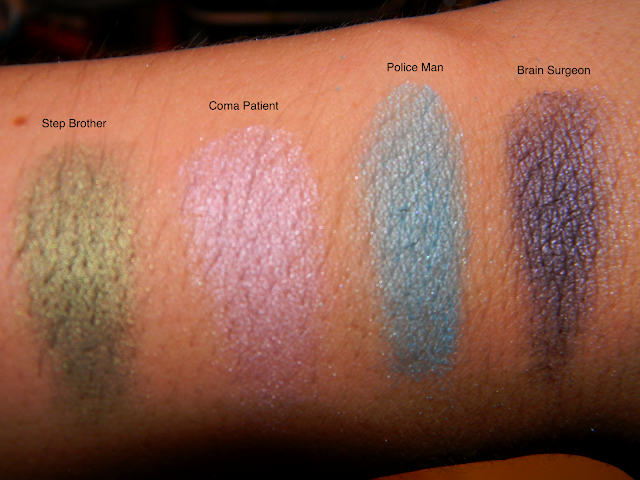 Illamasqua hussy is more of a bright pink and doesn't have the little bit of coral undertone that Frat Boy has. 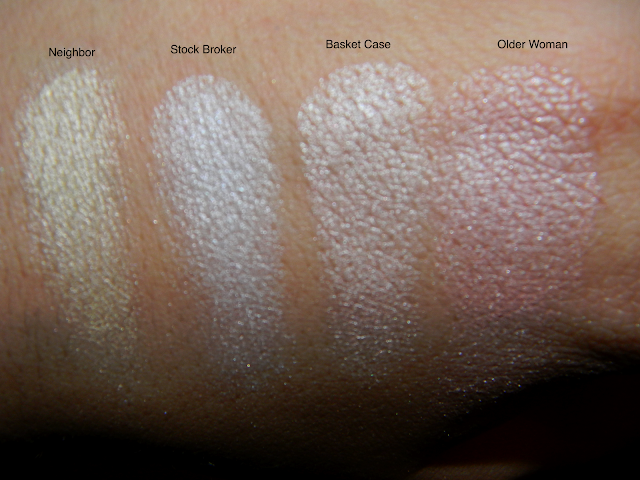 I'm definitely a fan of all three matte formulas, they all apply and blend beautifully. At Marshalls I was able to snag it for $9.99. Pretty amazing when you compare it to the normal price tag of $21. I would have gladly paid full price for this blush, the quality is most definitely worth it. Search your stores for theBalm if you can! The only downside is a lot of items at Marshalls and TjMaxx get mutilated by rude and selfish customers, so I'll cross my fingers for you that you find them untouched! Warning though, my nails are not anything to brag about, but at least you can see the color! Summer peach is a really, really pale peach. I bought this color a few months ago before the summer and it looked really awful when my skin was more pale. It was just too light of a color for my lighter skin so i saved it for summer. I think this color is more easily pulled off on tanned skin. Now that I have a tan, I think the peach looks quite nice and it sticks out a bit more. What do you think of this color? Any favorite summer nail polish colors? 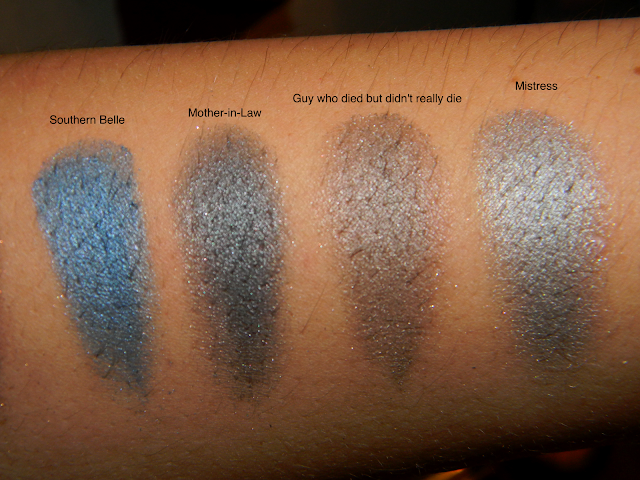 Here's a smokey going out look I did using the supposed mac club dupe in the Wet n Wild Comfort Zone palette (you can see my swatches and info on that here!) It's the right hand definer color. I love that this color looks so much more complex because of the duochrome! In case any of you browse my earlier posts...I wanted to let you know that my pictures have disappeared from most of the February 2011 posts. They were all from my first month of posting, so I'm a bit crushed that the blog posts are kind of non-existant now. 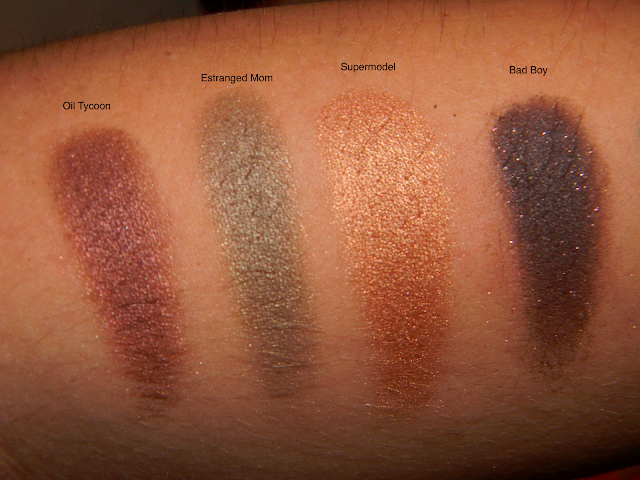 I tried to re-upload as many of the pictures as I could, but it seems as though many of the eotd's and swatch pictures from that month are gone for good (and I can't seem to find them on my computer anymore)/ I'm feeling too lazy to re-do all the posts, so please, please let me know if you ever want to see specific swatches or something from a picture that's disappeared and I'll retake the pictures if I can.